Russians have determined the top 10 characters that will compete to be the Official Mascot for the 2018 World Cup, which will take place in Russia. A total of 51,000 fans took part in an online poll on the website of FIFA held from May 1-31, the organization's website reported. The most popular characters are an Amur tiger, a medieval Russian warrior, a wolf, a Far Eastern leopard, a firebird, an alien, an astronaut, a cat, a bear and a robot. Design students at Russian art institutes are encouraged to offer their mascot designs for the competition, to be held between September and November 2015. A jury will determine the three best works, with one of them to be chosen as the official mascot. The launch ceremony for the Official Mascot will be held in 2016. 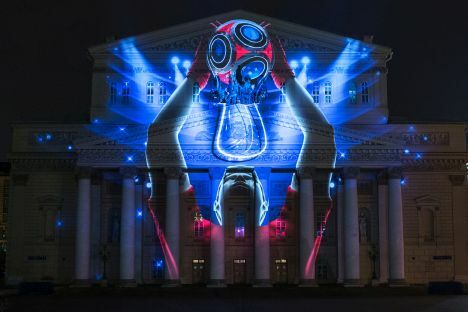 World Cup 2018 will be held from June 14 to July 15, 2018 at 12 stadiums in 11 Russian cities - Moscow, St. Petersburg, Kazan, Nizhny Novgorod, Saransk, Kaliningrad, Volgograd, Yekaterinburg, Samara, Sochi and Rostov-on-Don.